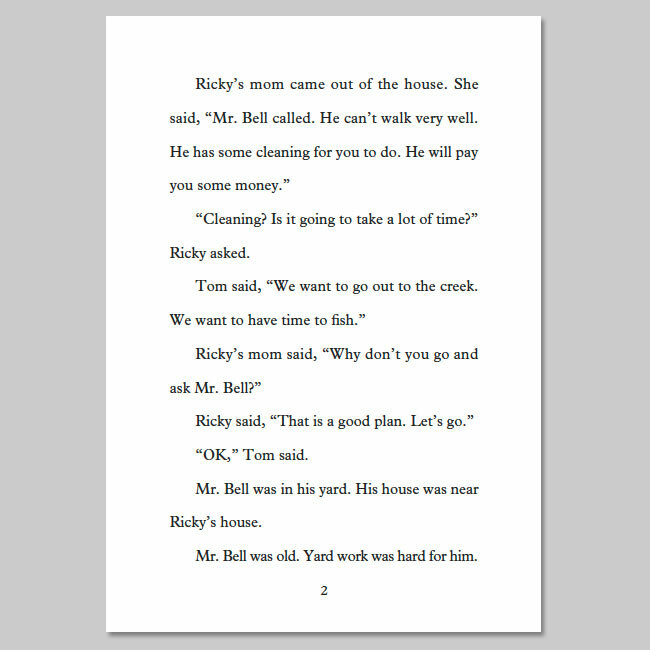 The Tom and Ricky series has been a favorite of teachers for over 25 years. 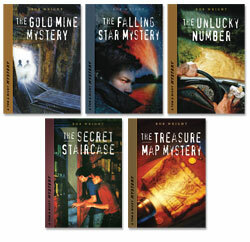 They feature 14-year-olds, and their dog, Patches, who solve mysteries in their home town. The stories revolve around events and places that students should be familiar with, and therefore, little background knowledge is required in order to read these stories. 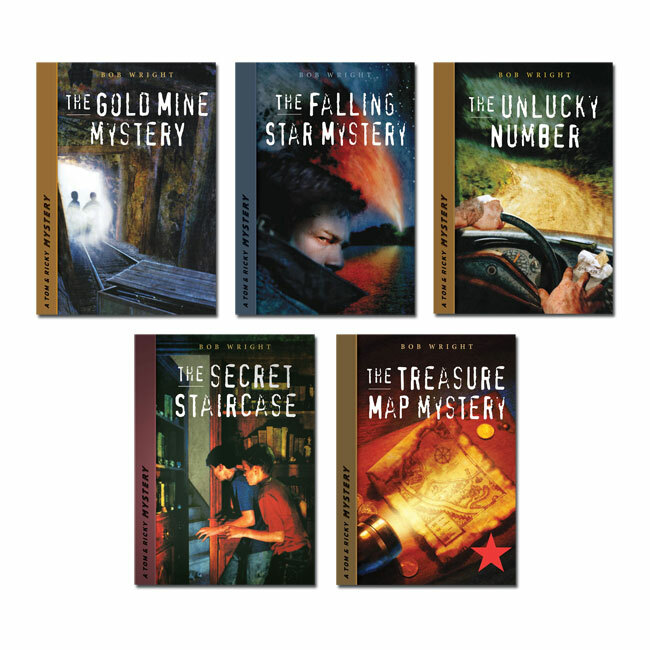 Artwork by noted artist Patrick Faricy ensures a combination of high interest and low readability for beginning and struggling readers! Tom and Ricky explore an old gold mine. But why are strange people there? Will the boys be able to escape? 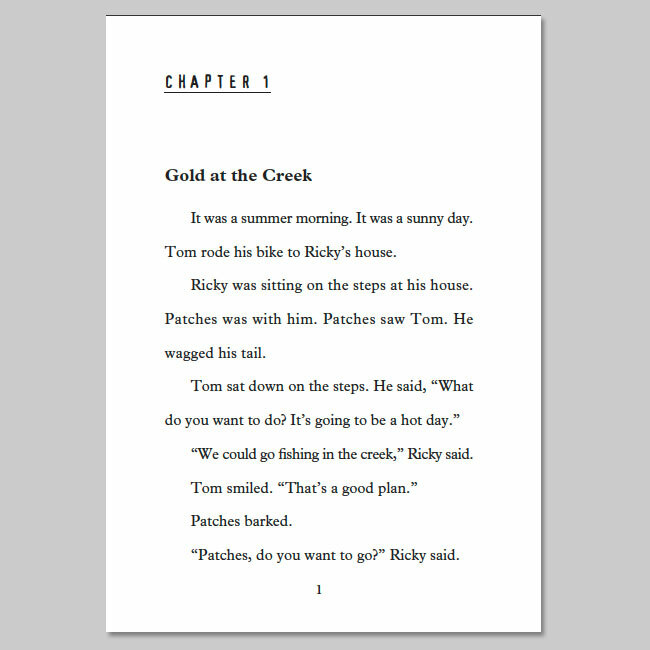 When Tom and Ricky decide to help an old man, they learn about a treasure hidden in his house. Why is someone calling Ricky and saying, The cherries are ripe? Is this connected to some recently stolen items in town? Tom and Ricky are excited to find an old treasure map, but soon realize that a strange man is also looking for it. When Tom and Ricky see a falling star, they go to see where it landed, but someone else is looking for the falling star, too, and wants the boys out of his way. These reproducible activities are available by clicking on the Comprehension Questions text in Check it Out! box at right. You may make copies of activities for use in your classroom.